Château de Miserai | The ideal place to spend your vacation or host your social events! My uncle, Frederic Levesque, spent most of his life at Miserai until his passing in 2010. 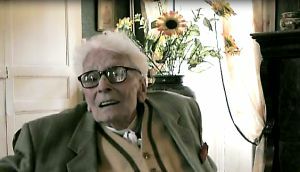 He was a man who loved his home and got such enjoyment and inspiration from his surroundings. His love for the forest and nature in particular stands out in his work. Constantly smiling, telling jokes and singing, he was truly a joy to be around. Known for his imaginative, Gothic fairy tale sculptures, Frederic first exhibited at the Grand Palais in 1987. A graduate of the highly regarded école Des Beaux-Arts in Paris, whose esteemed graduates include Degas, Delacroix, Fragonard, Ingres, Monet, Moreau, Renoir, Seurat, and Sisley, he went on to become famous worldwide for his work as an illustrator and avant-garde sculptor. In the sculpture below, one can see how Frederic was inspired by his surroundings by looking at his take on the pesky moles that occasionally decide to make Miserai’s lawn their home! His work showed his love for his native region of Normandy, but he also brought in worldwide themes, making his work universal. He brought in themes from all over art history — from the Middle Ages and 18th-century French fairy tales to French film spoofs. He also created parodies of various works of motion picture art, including Georges Melies’ A trip to the Moon (1902) and W. Murnau’s Nosferatu (1922). 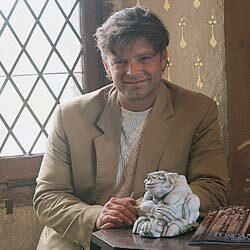 Frederic contributed more than 50 truly unique works of art to Design Toscano. From a submarine engulfed by a giant squid and an actual smoke-breathing dragon called Bessemer to an alligator lunching on his caretaker. 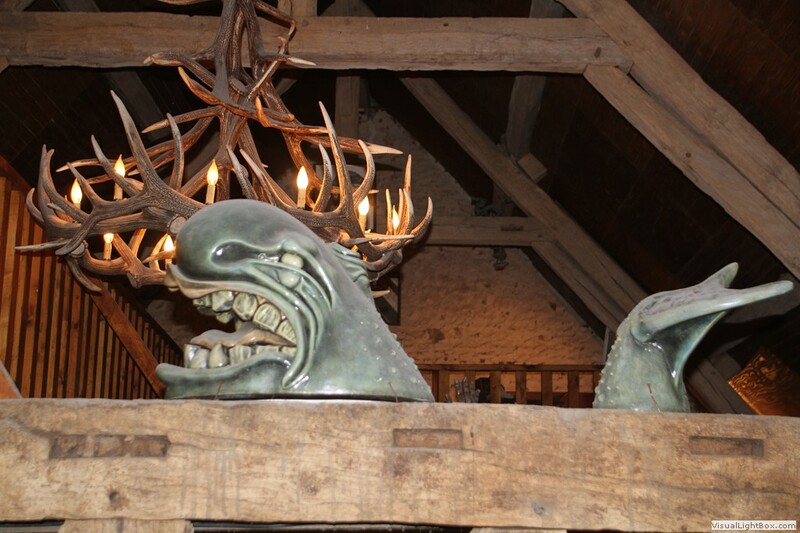 The hunt room at Miserai is filled with his art – from the hand carved fireplace to the hunting scene which adorns the rooms walls. His designs were done in a style that was truly Frederic: proportionally exaggerated and comically robust. He was truly one of a kind. 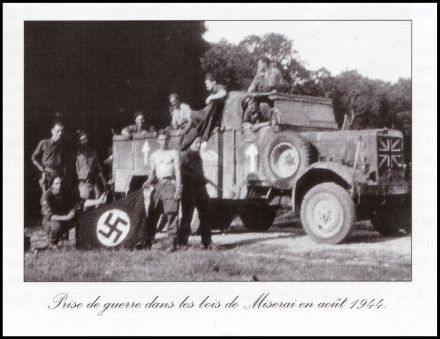 During World War II, Miserai was at the heart of the local French resistance. 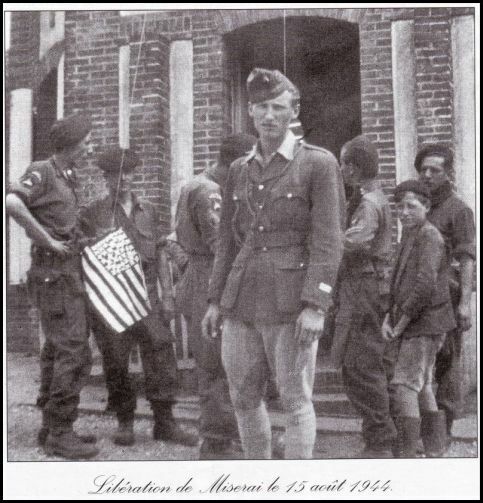 Jerome Levesque, my great uncle, graduated from the prestigious Saint-Cyr military school to become Lieutenant Jerome Levesque and became actively involved in the French war campaign upon his return to Miserai. In March of 1943 weapons were parachuted to a secret location where Jerome Levesque collected them in order to secure the area and train his men. 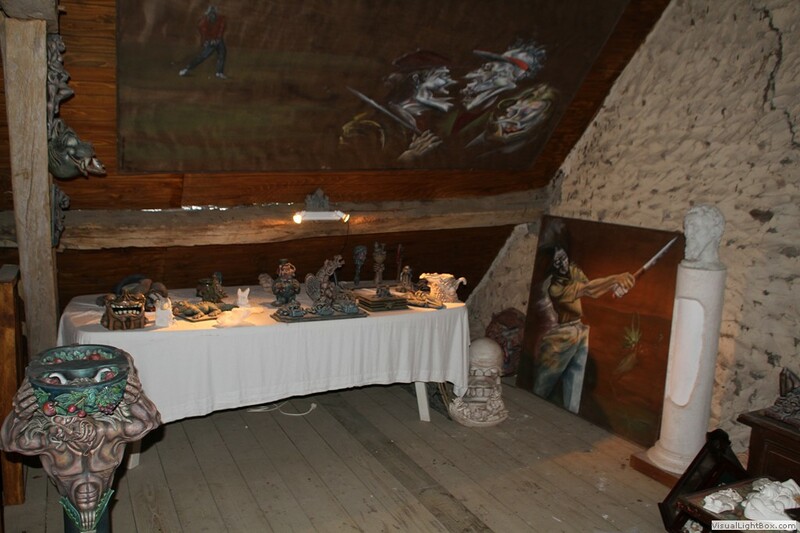 He then proceeded to hide the weapons in a barn in the woods – known as the Poussiniere – which can still be visited today. The Poussiniere used to be the home of Miserai’s caretaker which had been abandoned for many years. Some how, on the morning of June 5th, the Gestapo got wind of this secret weapons drop and began making their way to Miserai. Little did they know, my great uncle had a feeling that they were coming, possibly tipped off, and moved the weapons minutes before their arrival. 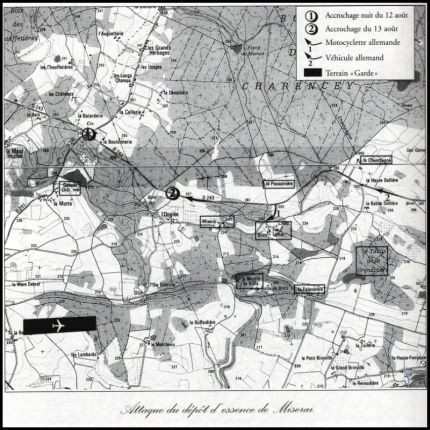 The Gestapo have Miserai surrounded, and force Jerome’s father, the owner of Miserai, Judicael Levesque, to take them to the weapons hiding place at gun point. Judicael was unaware that his son had moved the weapons moments earlier, and so, he begins the longest ten minute walk of his life, believing that this is the end. Once the Gestapo find the weapons, they will kill them all. The relief he must have felt when the weapons were nowhere to be found must have been indescribable. There are many Levesque’s, myself included, who are here today thanks to my great uncle Jerome’s quick thinking! The Gestapo and militia are occupying Miserai and using the estate as a base to search for weapons. When questioned by the Germans, my father has to be quick and come up with fast and credible answers: “My son Jerome is the black sheep of the family,he rarely is present at Miserai, when he leaves, he never telle us where he is going!” Finding nothing near the chateau, militia and Gestapo decide to expand their investigation and force my father to take them to the Brotz watermill at gunpoint, then to la Poussinière. 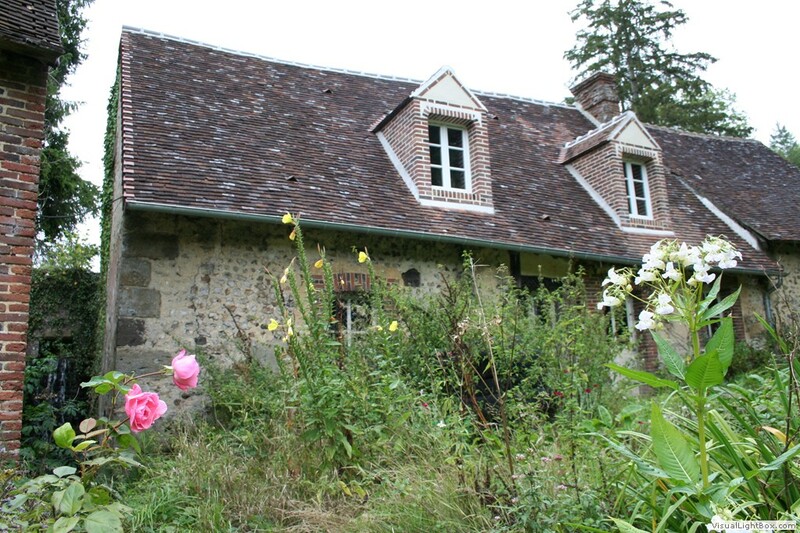 La Poussinière is the former home of Miserai’s caretaker that had been abandoned for several years. My father knew I hid the weapons there, in the barn next to the main house. He also knew he would immediately be shot should the Germans find them. He thought his life had come to an end. Fortunately, driven by a bad feeling, I removed the guns and ammunition from the barn 1/2 hour earlier to some bushes fifty meters away. To my father’s surprise and great relief the weapons were never found. Miserai was purchased in 1928 by my great grandfather Judicaël Levesque. My grandfather, Martial Levesque, wrote a piece on the history of Miserai as a hunting property – see below. He was always passionate about hunting the wild boar. This was, and is still, a very important part of our family’s history and traditions. 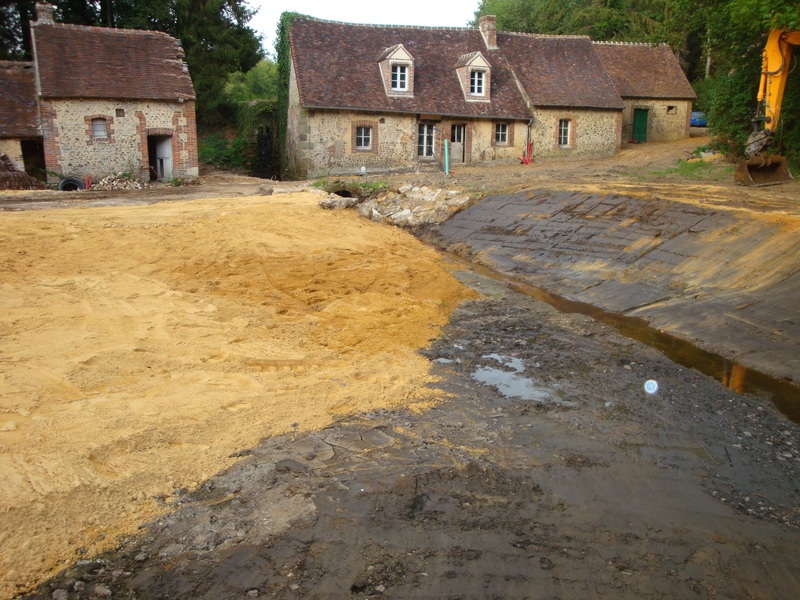 In this article, he discusses the Levesque’s involvement in the origins of the “Vautrait du Perche” – a big game hunting organisation in Normandy. Their slogan is “Ecoute a la tete”: listen to the head of the pack. Although in french, the website of the Vautrait du Perche has some wonderful photos of the hunt: http://vautraitduperche.voila.net/photos.html . The hunts are strictly regulated – as wild boars have no natural predators, their population numbers must be monitored. If their population was left unchecked, this would cause great ecological damage to the forests. The love and tradition of the wild boar hunt is passed down through the generations. The hunters have great respect for the forest as well as the animals and must learn the boars behavioural patterns, how to know where to look, and how to follow the signs which will lead them to their target – with the aid of the hounds of course. It is truly a beautiful sight to see the pack running through the forest on a lovely morning in the countryside followed by the hunters dressed in their blue and gold uniforms. My father Judicaël always loved the countryside and its forests because he was born in Paimpont. 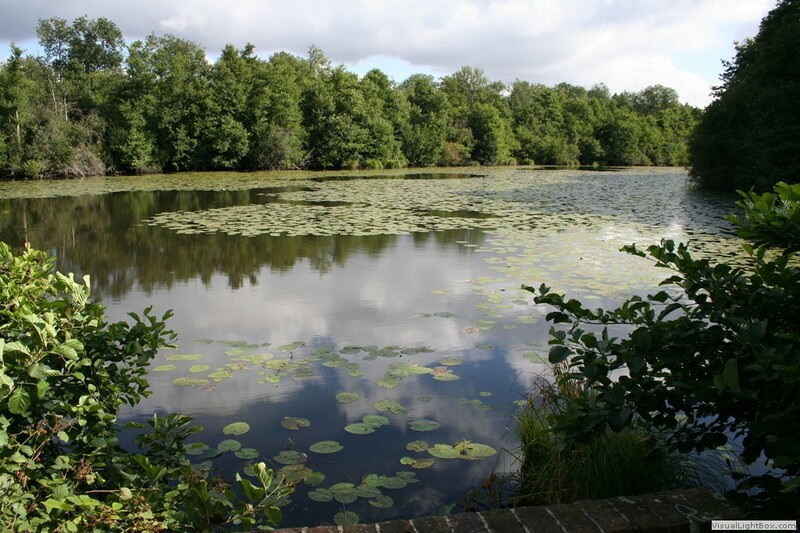 He wa s looking around to purchase a wooded property, when during a trip between Marcouville, Eure and Pont-Forêt in Britanny, he had the opportunity to acquire Miserai in 1928. 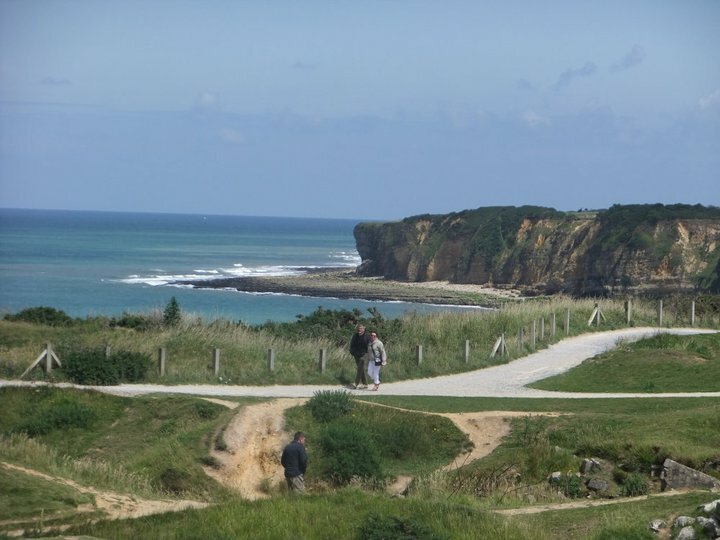 At the time, my brothers and I were students with the Jesuits inEvreux but we spent all our holidays at Miserai. 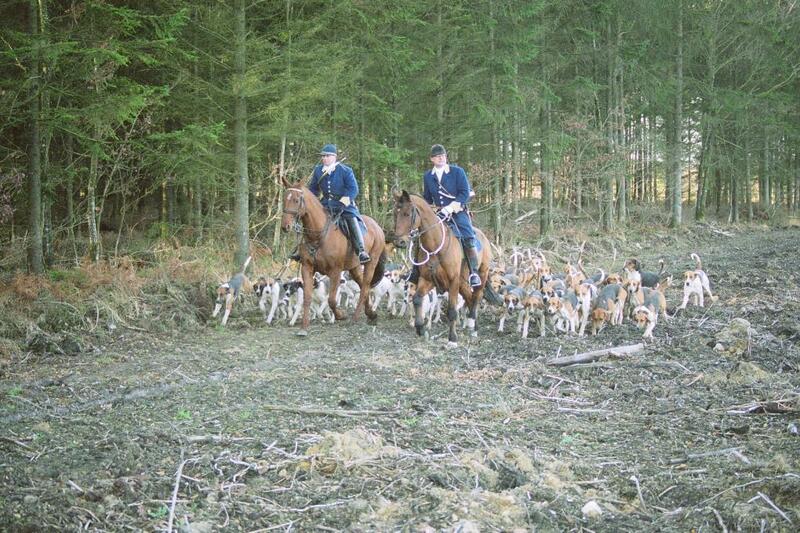 We werefascinated by hunting both with shot guns as well as on horseback with hounds. The war came, separating me from my family for a longmobilization and captivity of five years. In 1947, after the war, I moved to Miserai where I still live today. It is impossible for me to speak aboutMiserai without mentioning the origins of the “Vautrait du Perche” a big game hunting organization dedicated to chasing wild boars with hounds. I was one of the first witnesses and active members since the very beginning. My father brought to Miserai hounds donated by Régine, the only daughter ofCount Alphonse de Falandre who died just before the war. Later on, more hounds joined the pack in Miserai’s kennel when the Baron d ‘Armela, a neighbor, enlisted in the U.S. Air Force during the war of 39/45 and as a result left his hounds to my father. After the war, my father started hunting again in the woods surrounding Miseraiand joined forces with another hunter and neighbor in the person of JeanRenouard Larivière. At that time, they hunted on a small scale with a few friends armed with shotguns who killed boars right out of the lair. I wasn’t keen on this type of hunting, so one day, I decided to show up at the meet wearing the traditional dress code used by formal hunt clubs or “equipage”. 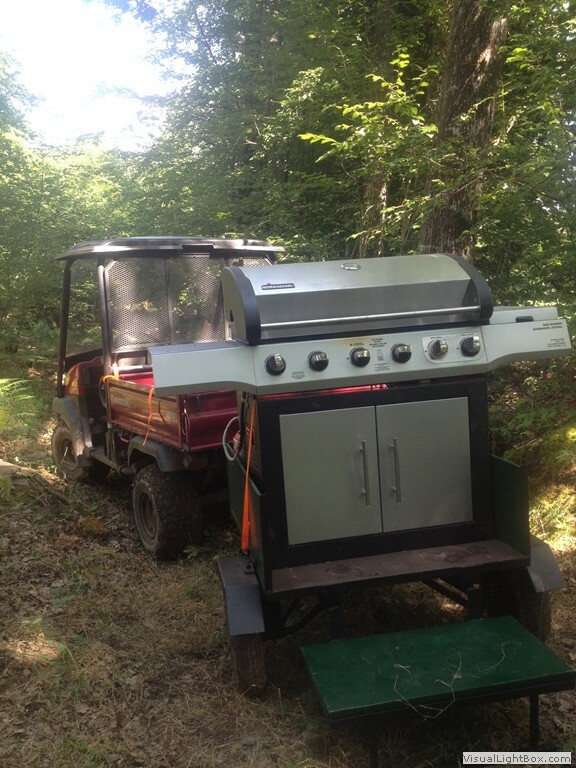 Surprisingly, my father found it quite to his liking, and we decided to get a team together to start our new “equipage”. We first had to decide what coat colors to wear. During my wanderings in Parisrue Richelieu, I stopped at the garment store “Prud’homme” where they showedme good quality material. I brought back royal blue and buff samples to Miserai. My parents invited the Larivières for dinner in order to decide what type of outfit we should adopt. Everyone seemed to agree with my choices when SimoneLariviere said softly in front of my father “could we enhance the outfit withstripes?” and my father said forcefully “absolutely no t!”. Finally, we compromised and the stripes remained on the vest. The “Vautrait du Perche” was born. Gradually my father let me organize and run the hunts. I got married in 1952 and my wife, excellent horseback rider participated in all the hunts alongside me. In 1955, the hounds of Jean Renouard Larivière joined forces with Miserai’s pack. My sister Martine married during the summer of 1958, and my father decided to pass on to me the position of master of the hounds, in agreement with Jean Larivière. were caught out of 36 hunt days. I was launching and running a pack of 40 hounds, hunting 6 timesa month. In 1962, my wife and I decided to move to Paris for the education of our children. Luckily my brother Emmanuel and Jean Larivière decided to continue the momentum, and the”Vautrait du Perche” became what it is today. Thanks to their hard work and the hard work of Emmanuel’s sons as well as all the other members, our “Equipage” is today one of the most established and recognized big game hunting organization in France. Although unable to ride for a long time, and walking with difficulty, mypassion for hunting is such that both my wife and I continue to follow the hunts by car twice a week during hunting season. Located down a dirt road about a ten minute walk from Miserai, our XVIIth century watermill is our next renovation project. 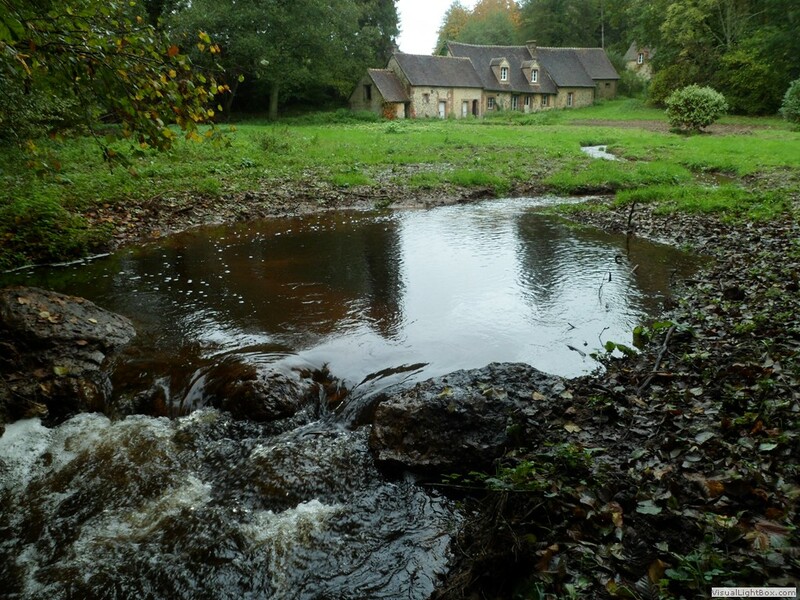 Our dream is to turn this watermill into a beautiful, rustic four bedroom home available to rent in addition to the current accommodation in the Chateau and guest house. 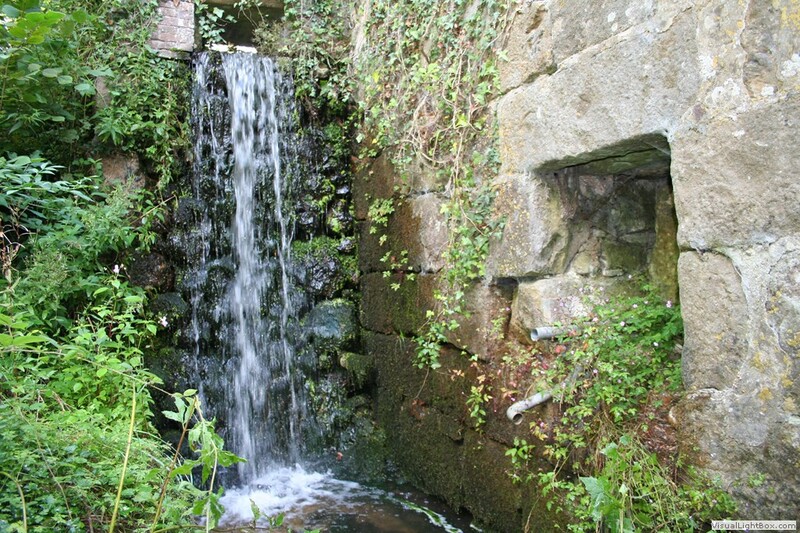 We want to restore the mill to its former glory by adding on a functioning mill wheel underneath the water fall situated at the side of the house. In order for the mill wheel to provide electricity, we need to calculate how many liters of water per minute are produced from the waterfall. 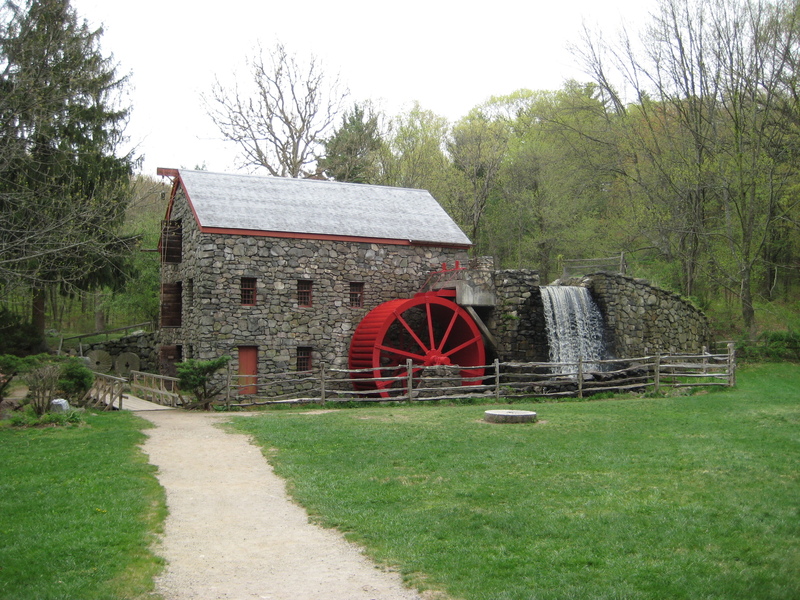 The mill wheel would require 550 liters per minute in order to produce 100 watts of electricity. If we have any less than this, our mill wheel will have to remain purely decorative – although still a lovely addition to the charm of the mill! Located right beside the watermill is a small barn where we plan to add four more rooms once the renovations on the mill are completed. This little mill is the ideal place to get away from everything, and have peace and quiet while you fish on the pond just in front of the house. 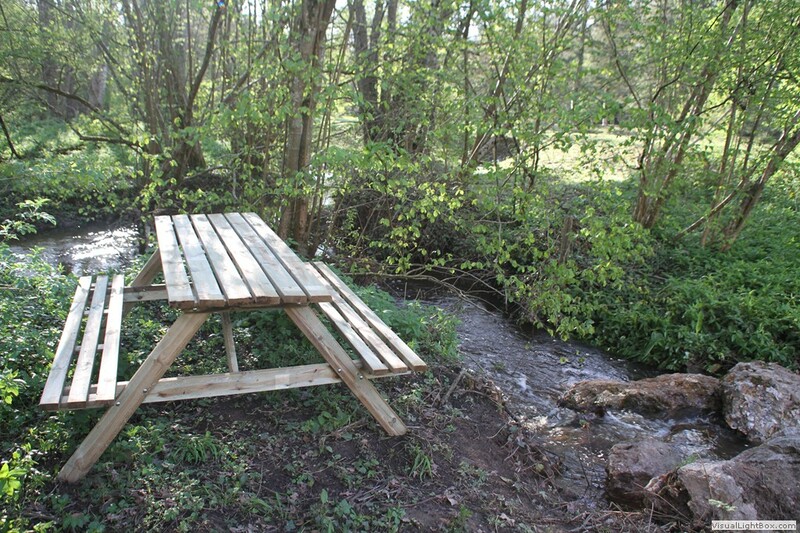 At your request, you can also have access to our barbecue and have a picnic in an area that makes you feel like have entered the world of Snow White and the Seven Dwarfs! 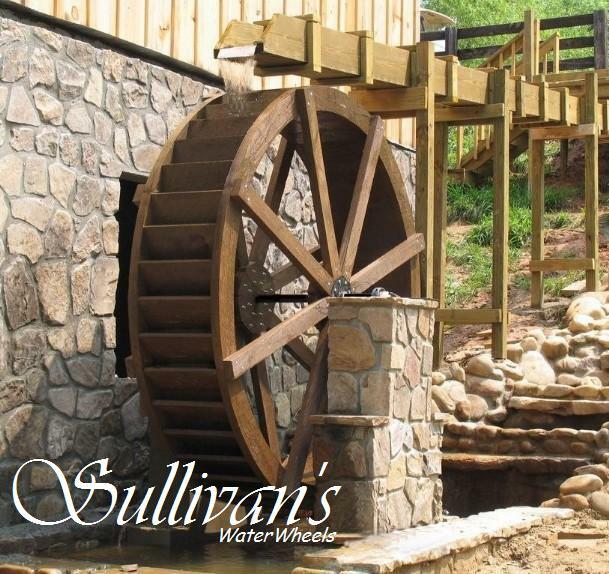 We will keep you updated as renovations continue, but for now I would like to ask your opinion on the color of the mill wheel…. Should it be bright red or a simple wooden, traditional wheel? Leave your comments below! 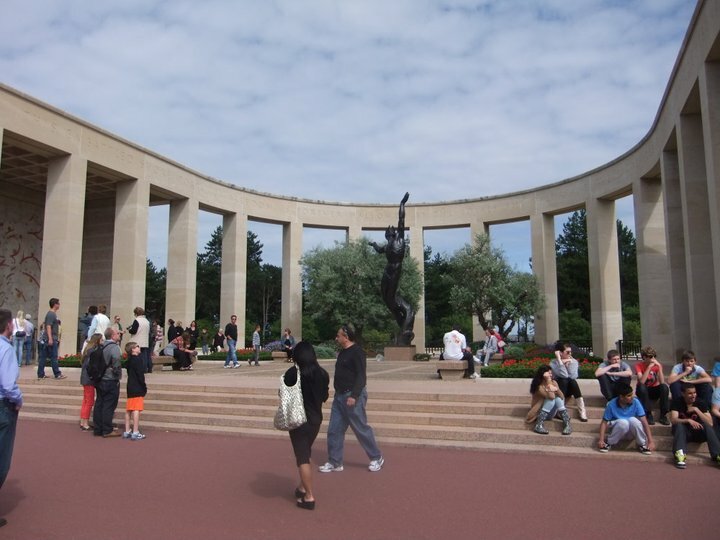 Located 62 miles from Miserai, many of our visitors make their way over to visit the sites where 156,000 Allied troops landed during WWII along the coast of Normandy on June 6th, 1944 : D-Day. Nicknamed “Bloody Omaha” and defended by the German 352nd Division, WWII soldiers recall Omaha beach as being red with blood after the battle as it was the bloodiest of the D-Day beaches. Among the dead/wounded/missing were 2,400 U.S. troops. 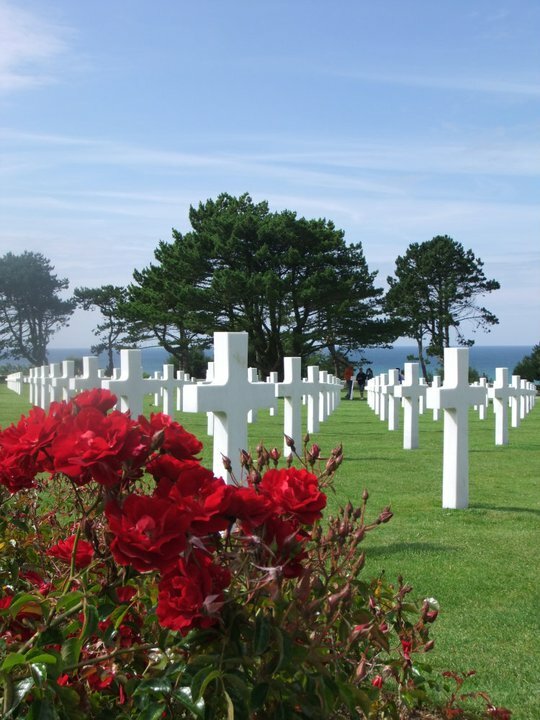 The American military cemetery at Colleville is open to visit from 9 a.m. to 6 p.m. from April 15 to September 15, and 9 a.m. to 5 p.m. the rest of the year. This 172.5 acre cemetery contains the graves of 9,387 troops. Within the cemetery, you will also see the “Walls of the Missing” on which the names of 1,557 military troops are inscribed. Built on the slopes of a hill in the south-east Orne department of southern Normandy, the Perche’s capital town of Mortagne is located 12 miles from Miserai. With houses dating back to the middle ages, walking the medieval street of this town is like going back in time. Here, you can visit some of its historical monuments spared from destructive forces of World War II such as the Saint Francois convent, the Notre Dame church, and the Town Hall. The Saint Francois covent was built for the Clarrisses congregation in 1505 by Margeurite de Lorraine who was the Duchess of Alencon and Countess of the Perche. 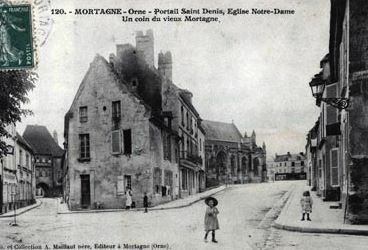 Originally located outside of the city near the gallows at that time, the entrance to the cloister is now located at the hospital of Mortagne. Inside, you will also find the chapel of the Clarrisses, built around the same time although destroyed during the revolution and restored in the 1800s. 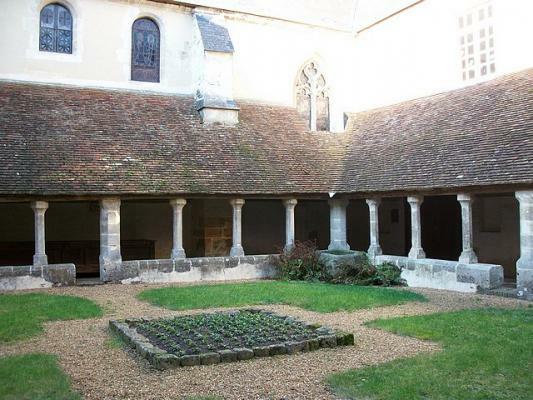 The cloister is the oldest one in the Orne department and can be accessed by following signs to the entrance of the hospital of Mortagne. Mortagne has many shops as well as a Saturday market with local and regional products for sale.